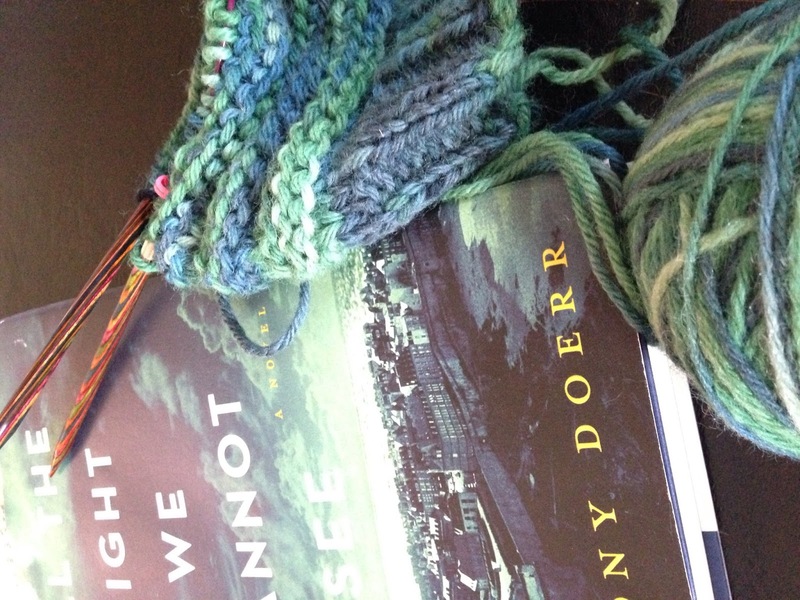 It’s not that often that my reading and my knitting end up being color coordinated. This week, I cast on and started knitting a hat for Sam, which he desperately needs. 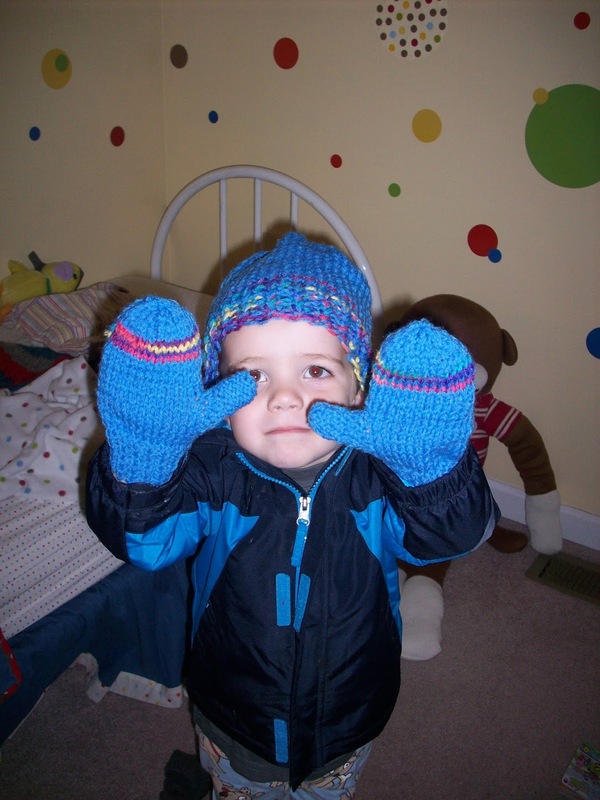 This is the last hat I made for him (and a pair of matching mittens). It was 2011. He’s overdue. The new hat pattern is Luuk by Annis Jones on Ravelry. I’m using a wool yarn from Knit Picks that I haven’t tried before. I was afraid Sam would say it was scratchy, since it’s wool, but he says he thinks it is going to be okay. The color is “sea monster,” which he loves. He’s calling it his Leviathan Hat. So far, it’s working up pretty quickly. After the counting involved with the eyelet, it’s kind of nice to be back to just straight rows of knitting and purling. As often as I’m interrupted, the chances of my losing count on a complicated pattern are pretty high these days. 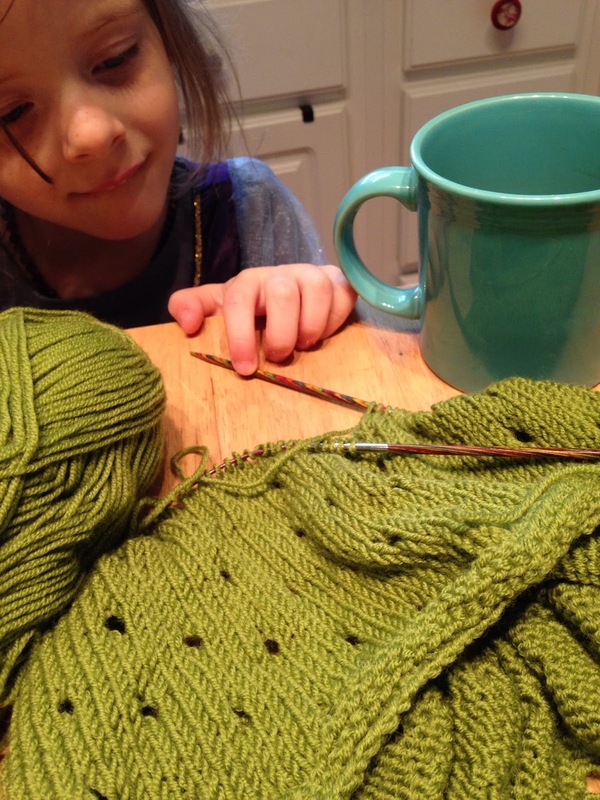 I’m linking up with Ginny’s Yarn Along again- head over there to see what other people are making and reading…and tell me- are you reading or making anything you really like this week? I’m always looking for more books for my list and more projects for my endless Ravelry queue. 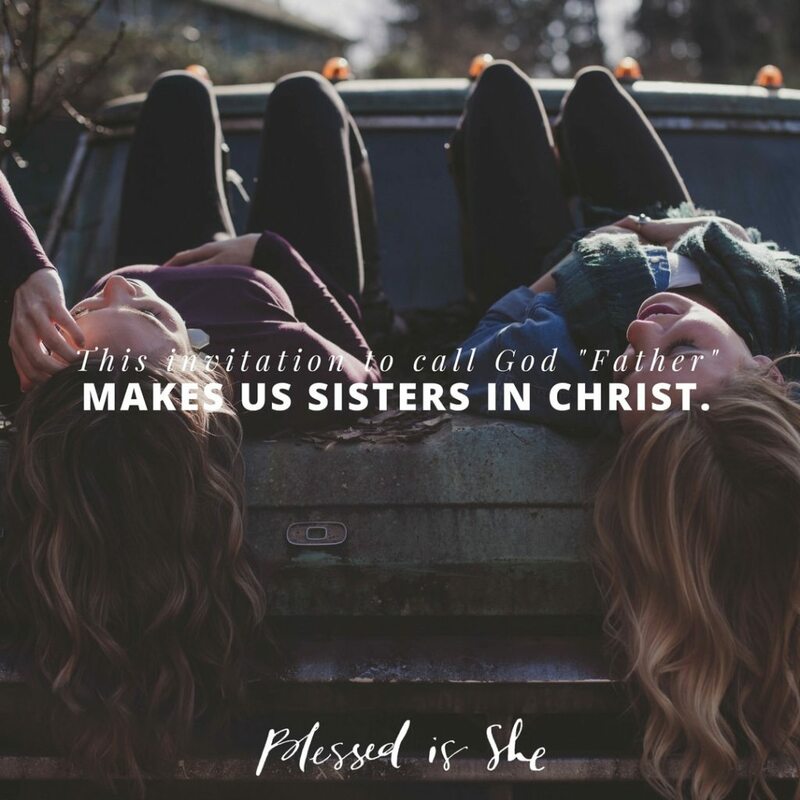 I’m in the middle of a few things that aren’t quite ready to share yet, but you can find me over at Blessed is She today talking about prayer…specifically about calling God “Father” and what that means for our relationships with each other. 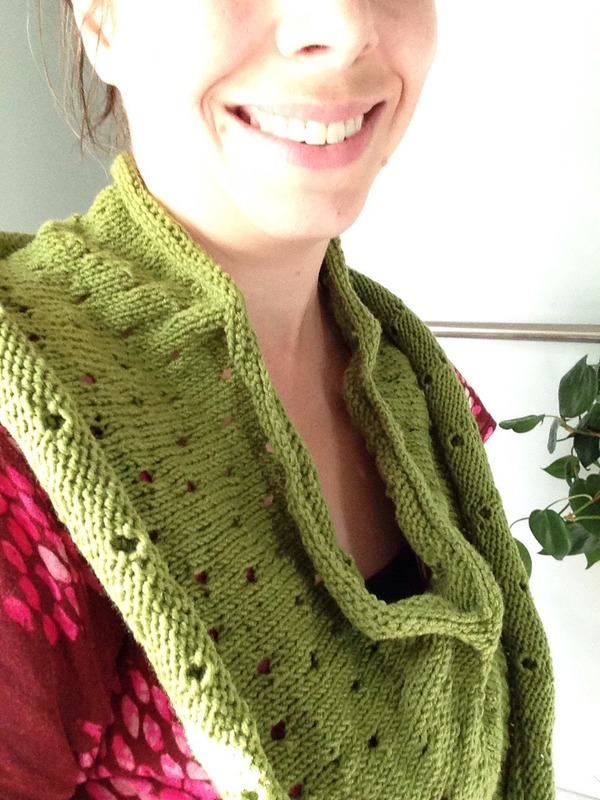 In other news, fall always makes me feel like knitting. I’ve been a dormant knitter for a while, but I pulled out this cowl this past week that has been unfinished for a long time, and I got back to work. I still really like it! This is significant, because usually when I’ve had something hibernating for this long, it just doesn’t make me as happy to work on it as it did before. 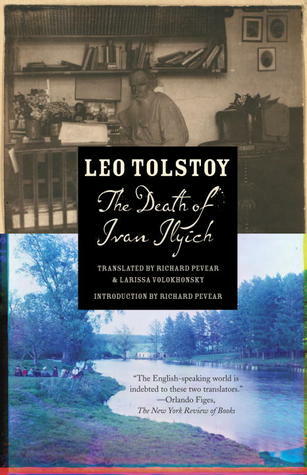 Our much-anticipated book club meeting is this Sunday afternoon, and I still have to make my way through about 40 pages of The Death of Ivan Ilyich. It’s not exactly a light read, but it’s not long, either. That’s okay with me. 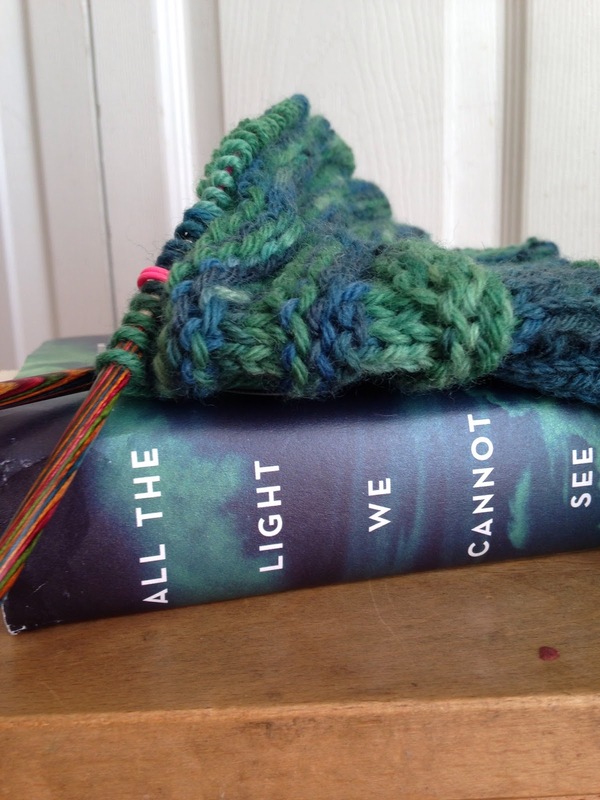 Next month, we’ll be reading All the Light We Cannot See by Anthony Doerr. I’m pretty excited to be leaving Russian classics behind for a little bit. What are you reading? What are you making? I’m linking up with Ginny at Small Things for the first time ever, because I always mean to and never seem to get around to it. 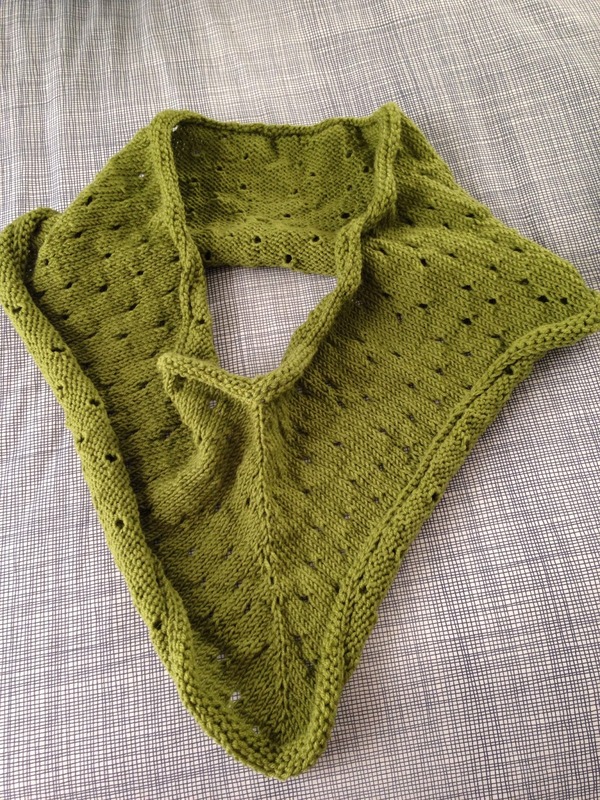 (If you go over there, please be kind and don’t compare my knitting to those folks’- it’s amazing and inspiring what people can do with yarn).